If you want to spend your Florida vacation in an area that is known for having some of the loveliest beaches in the world, book one of the 30A rentals at One Seagrove Place in Seagrove Beach. State Route 30A runs next to the coast for 18 miles. You will be able to enjoy lakes, forests and beaches as you take this road to the condos at One Seagrove Place. 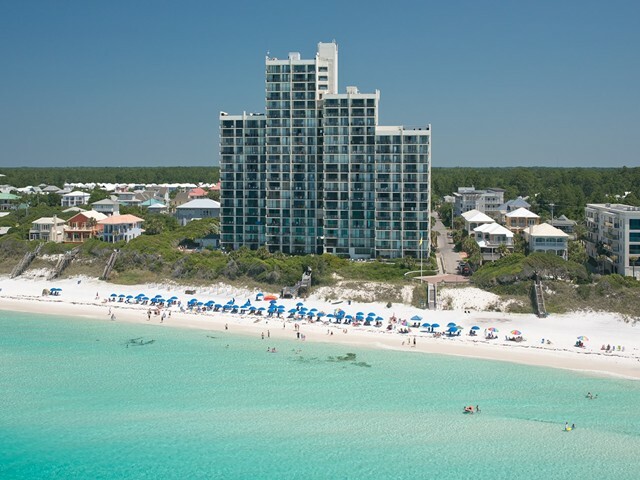 These condos are in the South Walton beach area. Beaches here are known for their soft sand and clear water. There are plenty of things to do in the area. Enjoy the water by swimming, boating or fishing. Things to do on the land include horseback riding, bicycling and hiking. If you like to golf, you will find several places in the area to play. You can buy clothing at boutiques and shop at art galleries for work by local artists. Relax at the end of your busy day by enjoying a meal at one of the fine restaurants in the area. You will find plenty to do at One Seagrove Place. Get some exercise on the tennis courts or in the fitness room. Splash in the water at the private beach or float around in the heated pool. There are trails in the area for walking or bicycling. You can walk on the beach and collect shells. The condos are surrounded by natural attractions and charming communities. Travel east from the property to visit Camp Helen State Park or Deer Lake State Park. Go north if you want to explore Point Washington Forest. Take the road east if you want to visit Grayton State Park. Communities east of the condos include Inlet Beach, Rosemary Beach, Seacrest Beach and Water Sound. Blue Mountain, Watercolor, Santa Rosa and Grayton are west of the condos. You can spend a day visiting beaches, shops and restaurants in these communities. Your condo is a wonderful place to start and end your day. These 30A rentals have full kitchens and balconies. You can begin your day by eating breakfast on your balcony while you enjoy a view of the Gulf. Curl up in the living room at night to watch cable television or a DVD. All condos have two bedrooms and will accommodate six guests. Condo amenities that you will appreciate include two bathrooms, a washer and a dryer. You will enjoy having the comforts of home during your vacation in Seagrove Beach.